This is the official call for nomination. Do you know someone who has contributed positively to the development of our region? Do you know any organization whose achievements are worthy of recognition? Then nominate them for a Garden City Advancement Award. 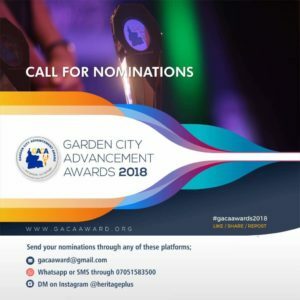 Nominations end on the 10th of August 2018.